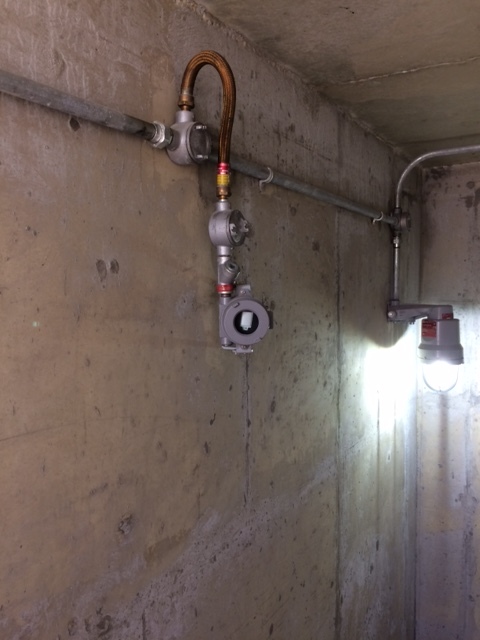 The Larson Electronics EXP-MS-N4X-AT-HV-V4 Explosion Proof motion sensor is approved Class I Divisions 1 & 2 and Class II Divisions 1 & 2 and the ability to power lights or other equipment within hazardous locations based on motion. Constructed of copper-free aluminum, the UL 639 motion sensor operates on 120V AC to 240V AC and features first-step processing. This explosion proof motion sensor is ideal for operators seeking a high quality explosion proof motion sensor rated for use in hazardous areas designated Class I Division 1 and Class II Division 1. 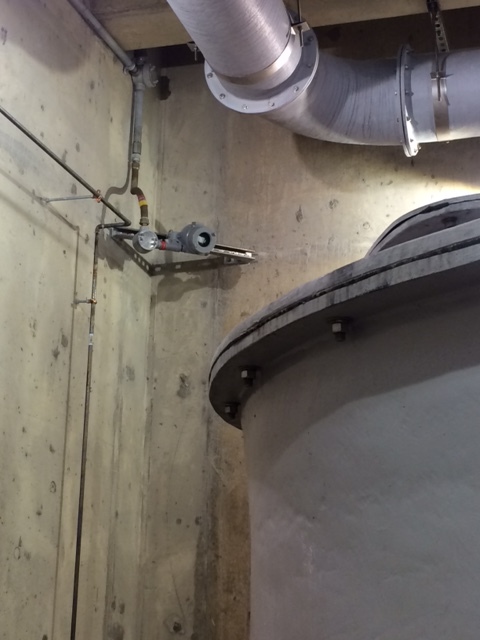 This explosion proof motion detector provides up to 360° x 70` coverage when mounted at a height of 12` to 25`. Coverage pattern consists of 69 zones in 11 barriers, with each barrier measuring 35` x 5` x 35`. The entire unit is constructed of copper free non-sparking aluminum construction with a glass window for motion detection. This unit is easily wall mounted via integral mounting bracket, which can be adjusted -90° to +30° vertically after installation. 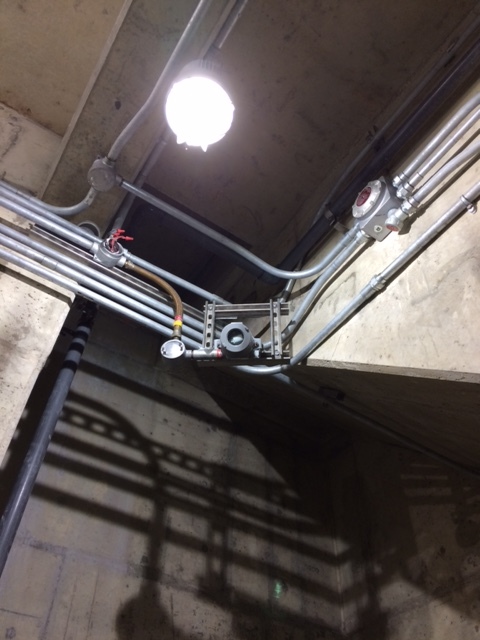 The explosion proof housing provides two 1/2" or 3/4" hub openings located on either side of the housing for running electrical conductors in a feed through configuration. A bushing seal at each conductor opening prevents damage to wiring insulation. First Step Processing: This motion sensor is equipped with first step processing (FSP). With FSP, operators do not have to select the sensitivity level for each application. The unit adjusts sensitivity based on signal amplitude, polarity, slope and timing. This feature also ensures instant responses to movements in the target area, without sacrificing false alarm immunity to other sources. The EXP-MS-N4X-AT-HV-V4 operates like a standard on/off light switch. The circuit is normally open when no motion is present. Once motion is detected, the internal switch changes to a closed circuit, allowing voltage to pass through the sensor and power the device(s) at the other end. This unit is designed to operate on a voltage range of 120V AC to 240V AC. This motion sensor is suitable for use in environments where combustible dusts and particulates may be present. 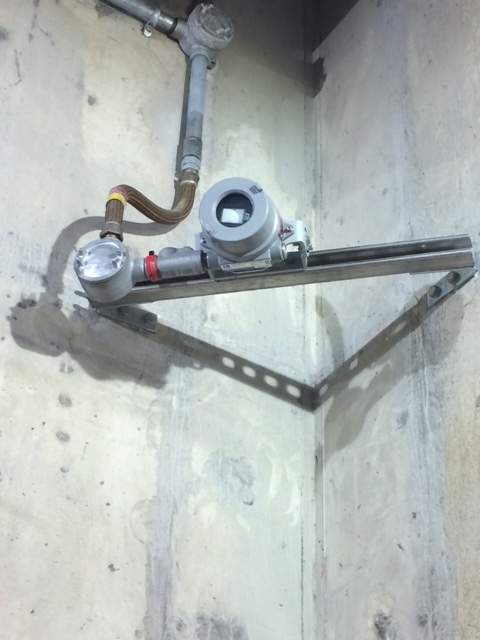 The EXP-MS-N4X-AT-HV-V4 has 1/2" or 3/4" NPT tapped conduit openings on either of the unit in feed through versions while dead end versions have a single conduit hub, providing easy and secure connection to main power line supplies.